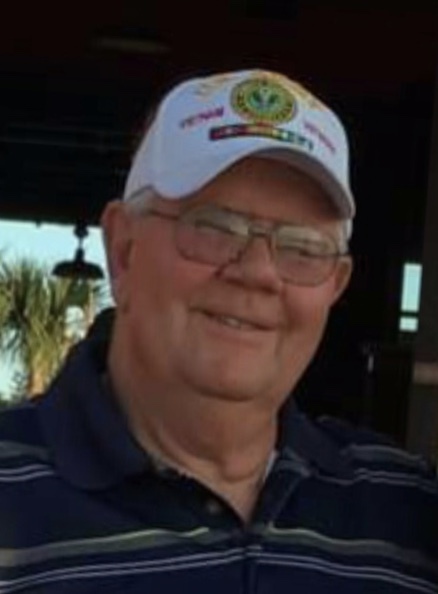 Jeff Milligan 69, of Longs, South Carolina passed, away at 3:50 a.m. November 11, 2018, at Highland Oaks in McConnelsville with his family at his side. He was born June 24, 1949 in Zanesville, the son of the late Hubert Milligan and Juanita Dillon Milligan. He was an installer for Clearfield Energy, and was a proud Army Veteran of the Vietnam War, a lifetime member of the Malta VFW, and lifetime member of the DAV. On August 2, 1994 he reunited and married his high school sweetheart and the love of his life, Connie Conkle Milligan. He is survived by his wife Connie; daughter, Meradith Rich; son, Joe (Debbie) Milligan, three step children that he loved like his own Beth (Paul) Downard, Brad Nichols, and Bryan (Andrea) Nichols; nine grandchildren; and three great grandchildren; a special great granddaughter, Kinley Leckrone; brother, Jon Milligan. Friends may call 1 to 3 p.m. Thursday, November 15, 2018 at Miller-Huck Funeral Home in McConnelsville, where services will be held at 3:30p.m. Burial will follow with military rites in Malta cemetery. In lieu of flowers please make a donation to the friends of Fisher house at Fisher House Charleston .